The devastating news came through recently of the death of Liverpool-based indie pop band Her’s. Her’s were a band clearly on the cusp of being something huge, but deep down it was clear to see all they needed to be happy was the chance to play their music to their fans, with their signature cardboard cut-out of Pierce Brosnan watching from the back of the stage. Quoted by the NME as “never really fitting into one genre, but somehow nailing whatever they end up doing”, Her’s had an incredibly unique and refreshing sound, cutting above other new indie pop bands with their addictive guitar hooks and defining bass lines. The vocals from lead singer Stephen Fitzpatrick were incredibly complimentary to these hooks, possessing one of the most impressive vocal ranges to be heard in the indie genre for a long time. Despite Her’s only being active for three years, they had defined their sound so distinctly and didn’t follow trends in the hope of fitting in – instead, they confidently carved out their own place in the indie-pop world. 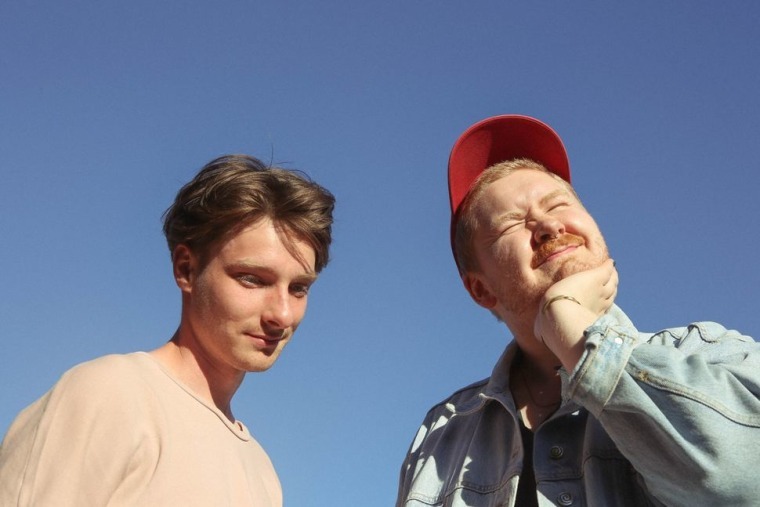 Lead singer Stephen Fitzpatrick, from Barrow in Furness, and bassist Audun Laading, from Norway, met at the Liverpool Institute for Performing Arts when they were both students. It didn’t take long before they realised their potential as a duo and after graduating in 2016, they released their first single ‘Dorothy’ via Manchester label Heist or Hit. This single was followed by Songs of Her’s, a collection of nine songs released as an EP-come-album, in 2017. This included their most streamed songs ‘Cool with You’, ‘Marcel’, and ‘What Once Was’. Songs of Her’s took the attention of many major publications and websites such as DIY, The Line of Best Fit, and Metacritic, all laid on very high praise. Just one year later Her’s released their first official debut album, Invitation to Her’s. The true talent of the band was shown off perfectly in this album which consisted of jazzed-up Mac Demarco sounding songs such as ‘If You Know What’s Right’, airy pop songs like ‘Carry The Doubt’, as well as more mature indie rock such as on the songs ‘Low Beam’ and ‘She Needs Him’. This album ticked all the boxes and proved how versatile the duo could be in their sound, whilst still managing to tie it together into one great album. Her’s played a sold-out gig at Manchester’s Band On The Wall just last month. At this gig, they performed a fantastic cover of Minnie Riperton’s ‘Loving You’ with a slow downed tempo and jazzed up guitar riff, which made the song completely unique and almost unrecognisable. Covers like these seemed to define the Her’s duo: A band with a sound and energy unlike so many others, yet you feel as if you’ve been listening to them forever, and could listen to them forever more. Having played the UK tour circuit a number of times, the duo embarked for their second tour of the US in early March. This tour involved an appearance at the infamous South by Southwest festival in Austin, where the pair played a special acoustic version of ‘Harvey’ for BBC 6 Music. Her’s also landed a spot in The Guardian’s One to Watch feature. Her’s were a band with so much talent, potential, and promise. They were a band who were loved by so many across the world, not only for being incredibly talented musicians but for their charisma, charm and genuine kindness. Her’s will continue to reach and inspire people everywhere with their music for a very long time.